Be glamorous with our versatile freedom lace wig, features long straight layered style with a soft natural texture for the final touch. Our Brown Sugar skin friendly Lace is sophisticatedly hand-tied knotted into a deep 13x4 hexagonal honeycomb patterned to accentuate. 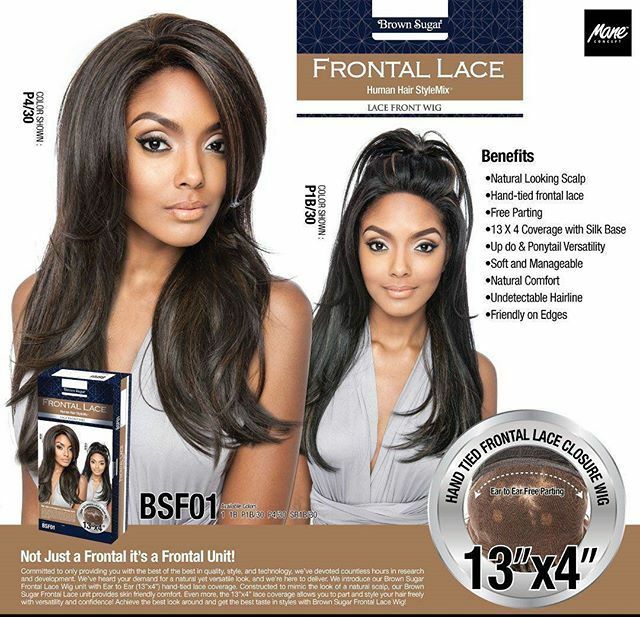 BSF01 styles look more extraordinary revealing Strands tied to a sheer lace front recreate a natural hairline allowing to show-off your beautiful forehead.. Feel free to achieve any styles with this sexiest Celebrity look, a pair of stunning styles in our brown sugar styles.